After a history of more than 16 years, the popular content discovery and advertisement engine StumbleUpon is drawing its last breath. On June 30, all user accounts and content will move to Mix.com, a similar service that offers better compatibility with today's mobile platforms and web browsers. Back in November 2001, Garrett Camp — who later co-founded Uber — and three others founded StumbleUpon, a content discovery and advertisement engine that allows users to "stumble upon" and rate content personalized to their multiple interests instead of just searching and finding based on a single word or key phrase. In May 2007, eBay purchased StumbleUpon, but Camp and several investors bought it back in April 2009. Three years later, the website went through a major redesign, but the company confirmed it laid off 30 percent of the 110 staff in early 2013. In the meantime, StumbleUpon didn't manage to bounce back, so now we are about one month away from the last day of its history. According to a post recently published by Garrett Camp on Medium, "we’ve made the decision to focus fully on building Mix and transition StumbleUpon accounts into Mix.com over the next couple months. We have built Mix to work on every browser and smartphone, to make the transition as smooth as possible. With a few clicks you can register and import your SU favorites, interests and tags — creating Mix Collections that are easily shared with friends." Over the years, over 40 million people user StumbleUpon, helping to lay the groundwork for the curation and discovery approach used by Mix.com. In addition to its web-based service, StumbleUpon is also available for Android, iOS, and Windows tablets and handsets. Have you ever used StumbleUpon? Will you miss it? 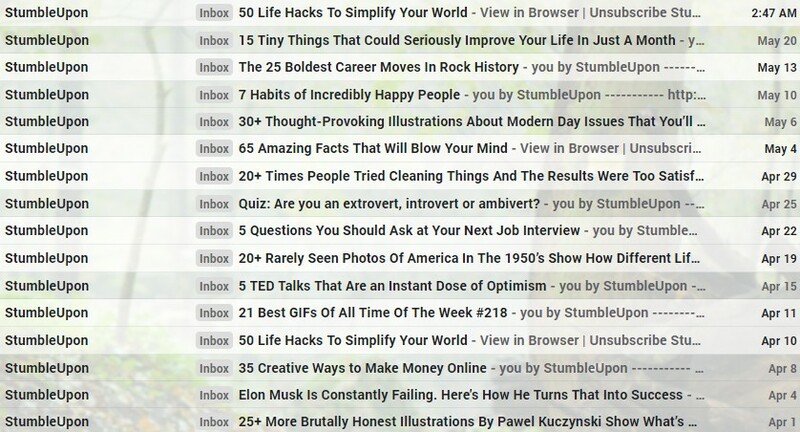 Speaking for myself, I must confess that I've been quite busy using StumbleUpon for discovering and promoting content about a decade ago, but lately it was very hard to find the time and motivation needed to check out the weekly emails I got from them. However, I am looking forward to moving all my StumbleUpon stuff to Mix.com.